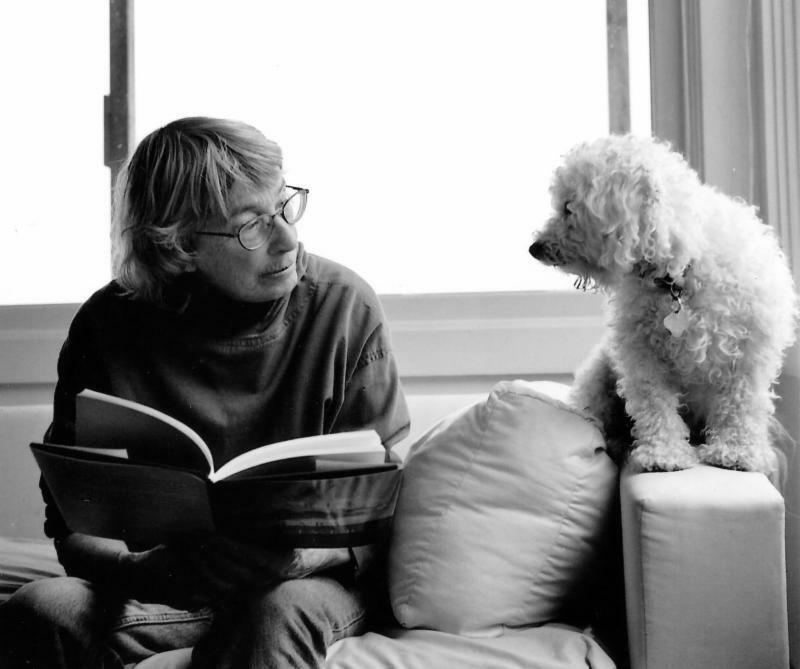 On January 17, famed American poetess and Pulitzer Prize winner, Mary Oliver, passed away at age 83. Mary truly paid attention to - and had an intimate relationship with - the world around her. Her sublime poetry serves to wake all of us up to the intelligence of creation, of which each one of us is an intrinsic part. She describes the world I strive to live in. That's what spiritual practice can do, too....help us see our connection to the rhythms of life and the beauty and wonder of nature. Mary wrote often of mortality, but with a spirit of gratitude and completion. She hoped that at the end of life she could look back and see herself as a “bride married to amazement.” Wow. 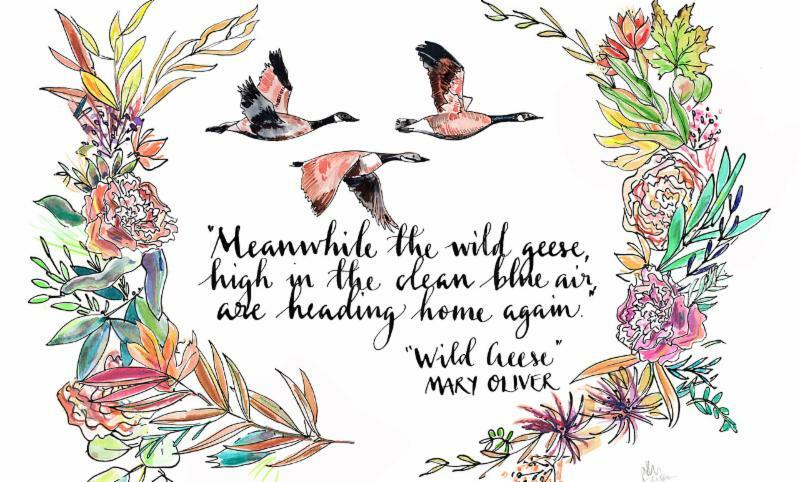 I read her poem "Wild Geese," at my father's funeral when he died ten years ago. I love her invitation to listen deeply, and how she contrasts and compares us with wild geese who fly alone, yet in an inclusive form, honking to keep in contact with each other in flight. She wants to wake us up so we recognize our place in the “family of things,” as she has. “If I have any lasting worth, it will be because I have tried to make people remember what the Earth is meant to look like,” she wrote. That's what she has done for me and so many. As I write this, it's late in the evening and there's a chorus of coyotes in the hills behind my house. Perhaps they are happy the rain stopped, perhaps they are sharing stories. They howl one by one, and sometimes in unison, and I know they are home, and I am with them. Let's all be fully present to what is here, let it fill us with wonder, with amazement, and be grateful and content as we travel in this beautiful flow of creation, together. 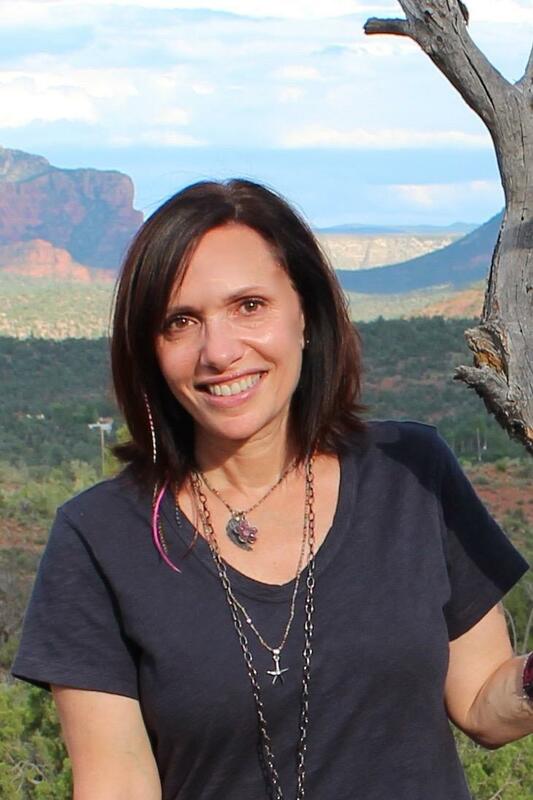 Anne Sussman, the author of “The Bliss Buddy Project- How Sharing Gratitude Increases Joy," is a new faculty member for the Feast. "Each day we are new and can choose how we show up for our lives. For me, holding fast to my meditation practice allows me the opportunity to show up shiny and new, letting go of expectations. As I approach 60 I know my time is likely shorter on this planet than it has been, and as Mary Oliver writes, When it's over, I don't want to wonder if I have made of my life something particular, and real. I don't want to find myself sighing and frightened, or full of argument. I don't want to end up simply having visited this world." Anne offers a beautiful meditation series for the Feast: Meditations for Cultivating an Attitude of Gratitude. Ann says she wants to walk through this world with a thirst and love for life, with presence and holding all her experience with kind attention. Read more about Anne here and let her guide you into meditations. Find a practice community near you. Did you miss yesterday's email? Read it here. Think of the Feast as an intensive: a 40-day deep spiritual practice retreat. Though your life may be busy with work, taking care of your family, and spending time with friends, during the Feast it is possible to reclaim your peace and joy and put your spiritual life first. How to observe the Feast,every day. Find a place in your home, and make it sacred. Light a candle, burn incense, play meditative music, retreat. Choose a time in the morning when you can dive deep into your practice for 40 minutes or, if you can do 40 minutes at once, set aside 20-minutes and opt for an afternoon session after your workday. And if you prefer, choose to practice four 10-minute meditations each day. You'll find there are countless meditations to support you on your journey to being more self-aware and self-realized. Choose from the wonderful Feast teachers and their guided meditations here.